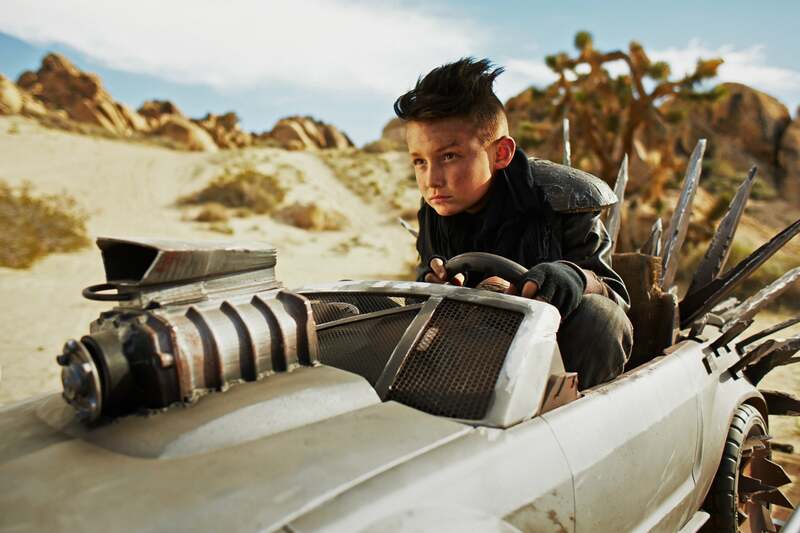 Think you can pick out an April Fool's gag a mile away? Test yourself here, sifting the real ThinkGeek products from the pure fanstasies. It was Tyrion Lannister in the privy with a cross bow! Oh no! You caused my mag-lev to fail! Unicorn meat: it's not really meat! 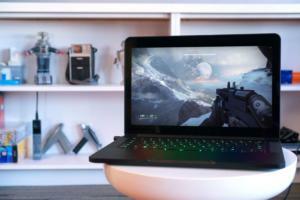 When Gabe said Steam Machine, he meant, Steam Machine. 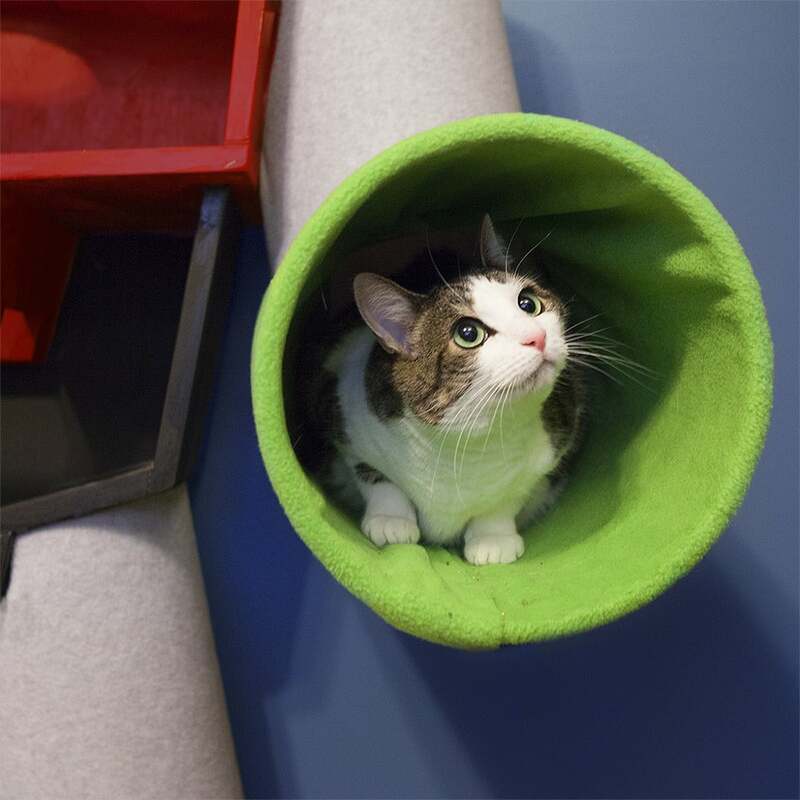 Think you can pick out an April Fool's gag a mile away? Well buzzkillington, we've decided to put together the ultimate April Fool's obstacle course, using none other than products—both real and not—from the Loki of Internet stores: ThinkGeek.com. So put down your copy of Junior Skeptic Magazine and flip through these slides if you think you're so clever. Read the caption only after you've decided whether it's real or not, and we'll tell you if your finely honed senses were right. 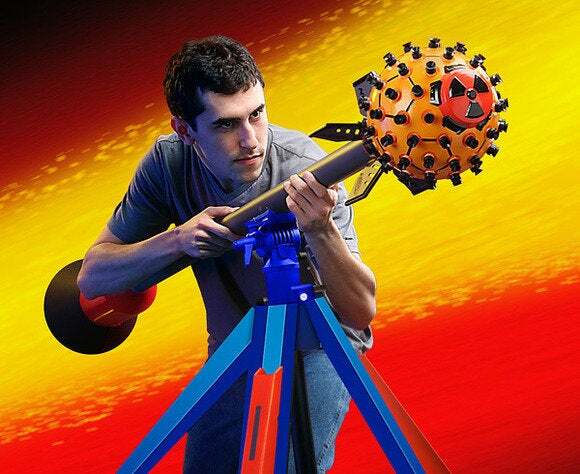 For example, is this 80 dartaton Nerf Nuke, the Mutual Assured Destruction of office warfare, Real or Not? Nothing says sushi like the USS Enteprise NCC-1701. No bloody, A, B, C, D or E. Outfitted with four forward-firing Type IX phaser cannons and photon torpedoes, this Constitution-class Starship will put fear into those spicy tuna rolls. 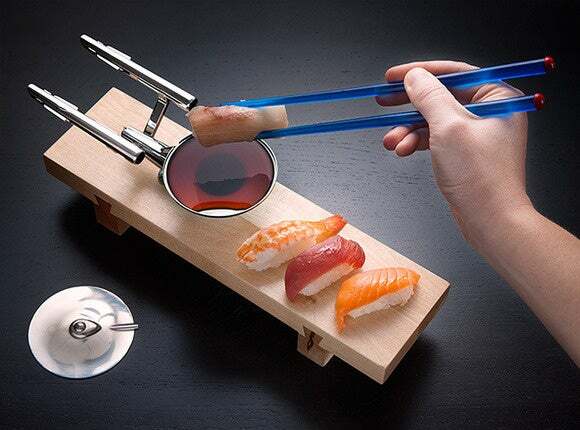 You can slide out the warp nacelles to eat your sushi on the attached wooden tray and use a saucer seperation for your soy sauce. 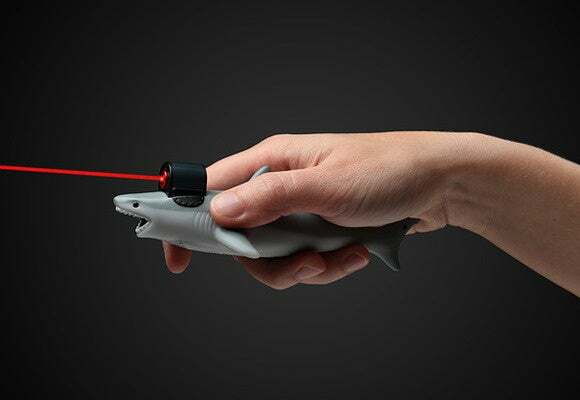 While compatible with Terran-based sushi, Starfleet does not recommend using this with Off-world seafood, nor Gagh. "Bridge to Captain Kirk. Maybe you should go to your best friend's funeral, sir." 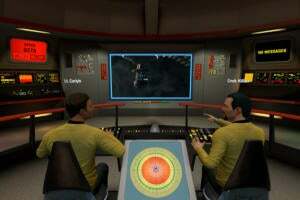 "Bridge, this is the captain. Sound general quarters, this no drill. Repeat, this is no drill." I say that before I walk into my man cave to let my wife know not to disturb me. 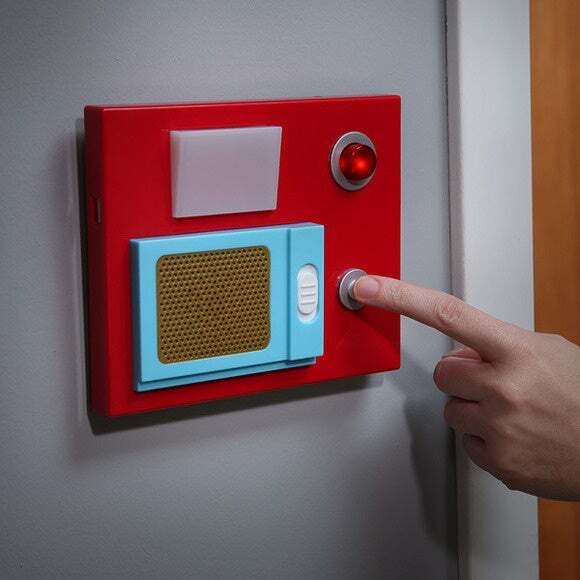 This Star Trek TOS replica features motion sensors to trigger a whooshing sliding-door sound as well as alarms, and it mounts to any wall. 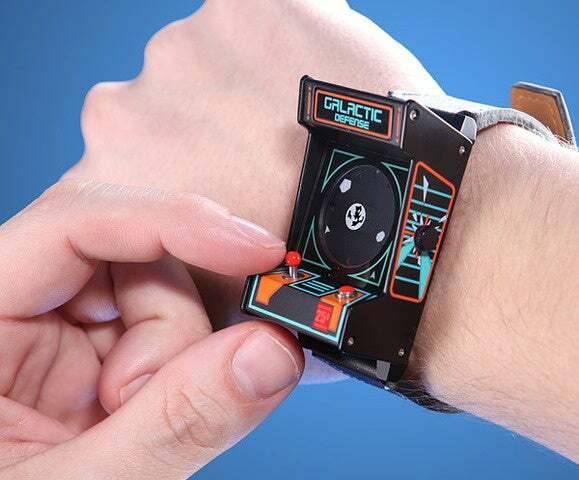 You can't actually play games on this arcade watch, but it tells you the correct time by lighting up the asteroids and even makes a "pew, pew" sound when you press the button. Was it Tywin Lannister, Joffrey Baratheon, or a Cersei Lannister with a short sword in the library who did the murder? 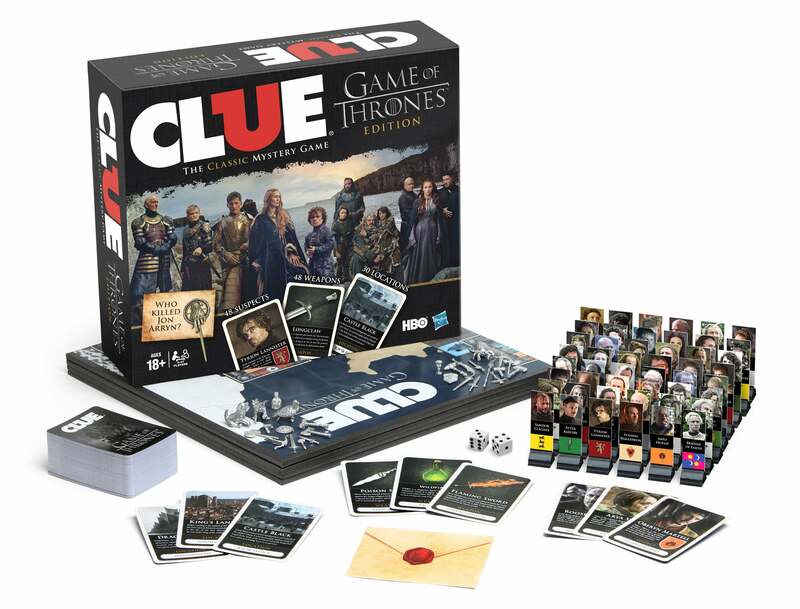 Now you finally replicate your show in the classic game Clue. 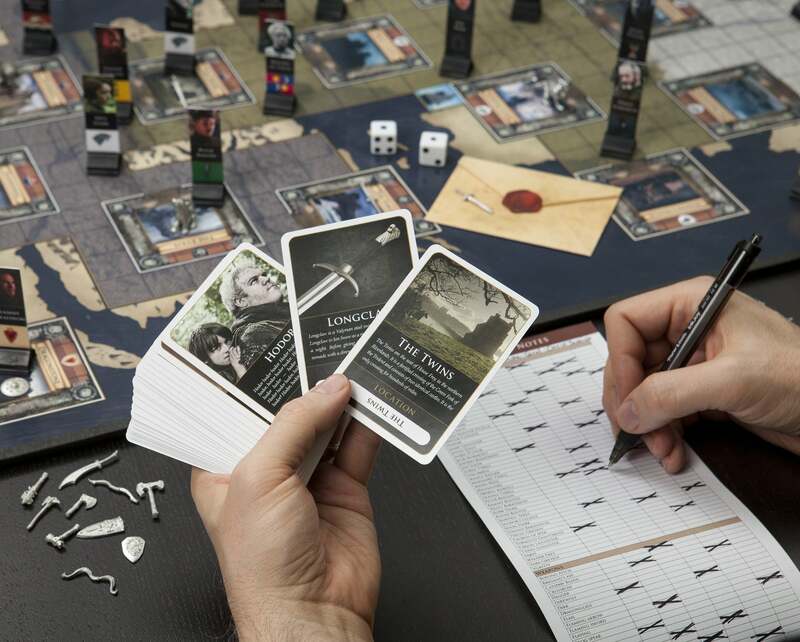 With detailed character cards and Game of Thrones props, you'll spend hours in this board game, and it won't end in a Red Wedding the way that last Monopoly game did. Real or not: Not real. 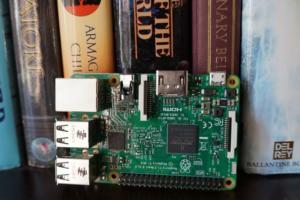 Pining for the sounds of that old modem? 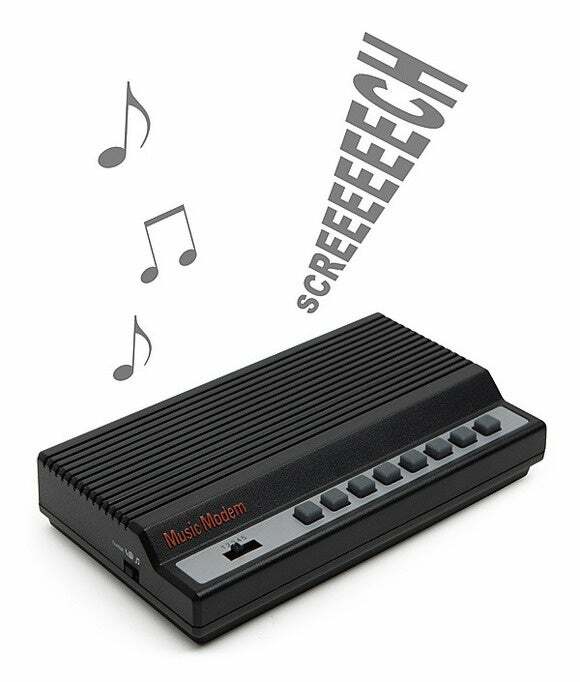 This classic modem-shaped box lets you press a button to summon the sounds of your bygone youth, wasted typing in Basic programs on your C64 or trying to double the capacity of your floppy disks by cutting holes in them. 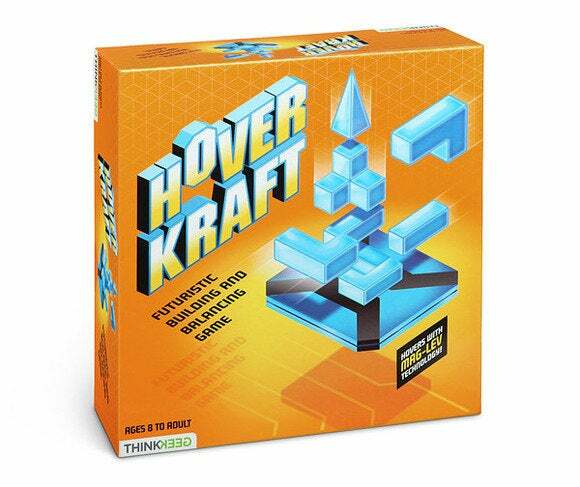 In the future, everything will float, so why not play this revolutionary mag-lev game now! 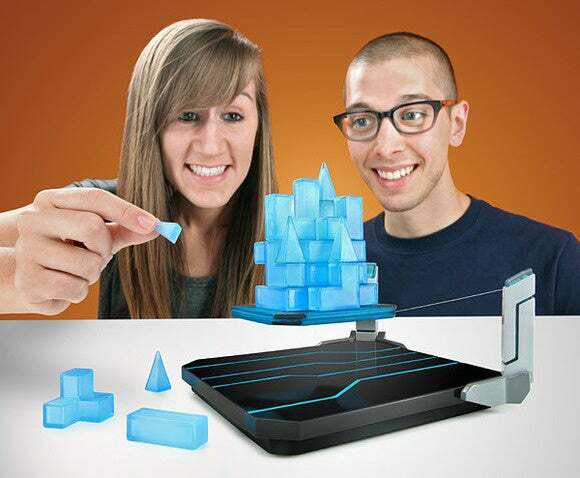 HoverKraft tasks your hand-eye coordination with building a futuristic floating city. Keep building until your city crumbles like New Atlantis into the ocean. 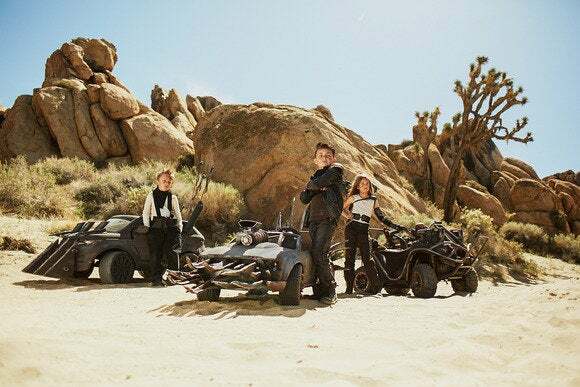 We already know we're hurtling toward a future where humans must knife-fight for an imperial gallon of gasoline, so why not let your kids get in on the fun now! These battery-powered Mad Max vehicles are scaled-down replicas and electronically governed to 7 mph. If you're worried about your little one impaling any one other than Lord Humungus, don't worry, the razor-sharp pieces are made of stiff rubber. Real or not? Not real. Nothing is more dangerous than an in-law family BBQ. 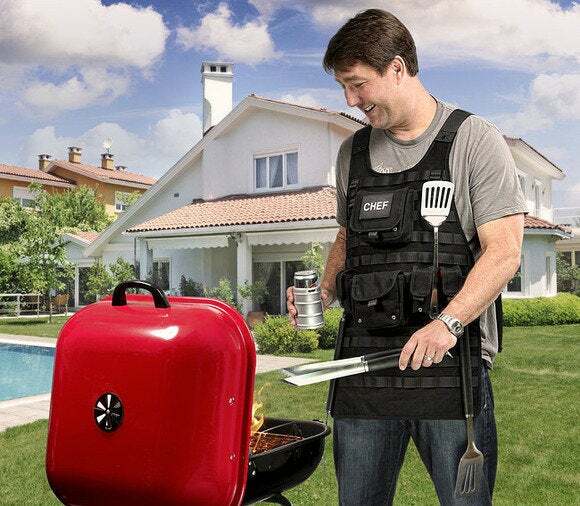 Don your MOLLE-equipped tactical apron to be prepared for anything that might happen. The only thing that would make this apron more useful is putting your blood type on it, so the corpsman knows what to use if you cut your finger. 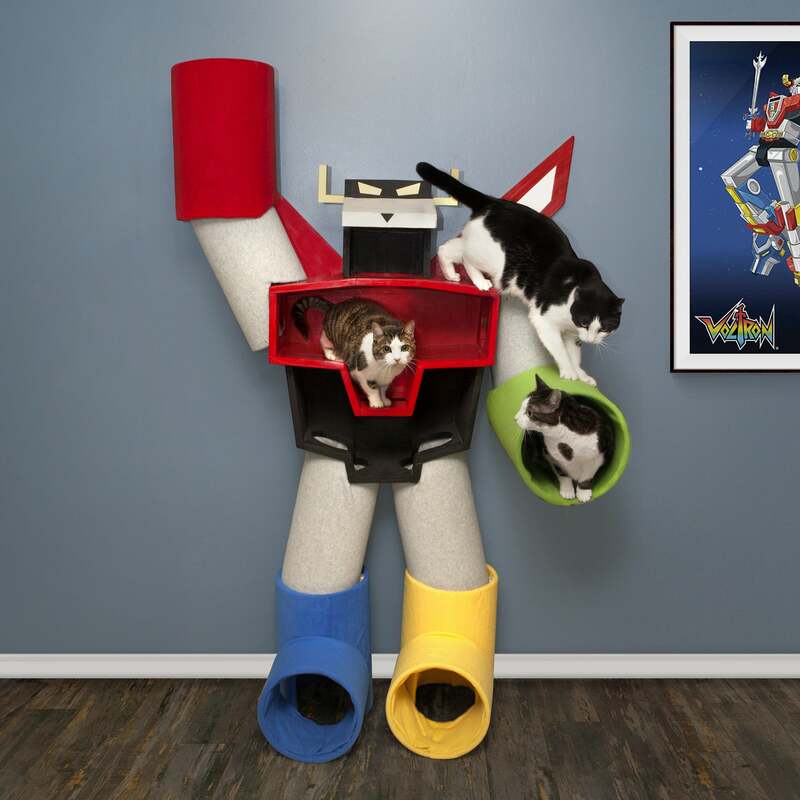 Well, you've already got six cats, you might as well let it all hang out and pick up ThinkGeek's Voltron Condo for your wittle wuvy wones. The Voltron Cat Condo is fleece-covered and stands almost 6-feet tall. The base is wood, and some assembly is required. The bad news: There are no USDA inspections of Unicorn farms. The good news: They now feed on organic cotton candy before being slaughtered. 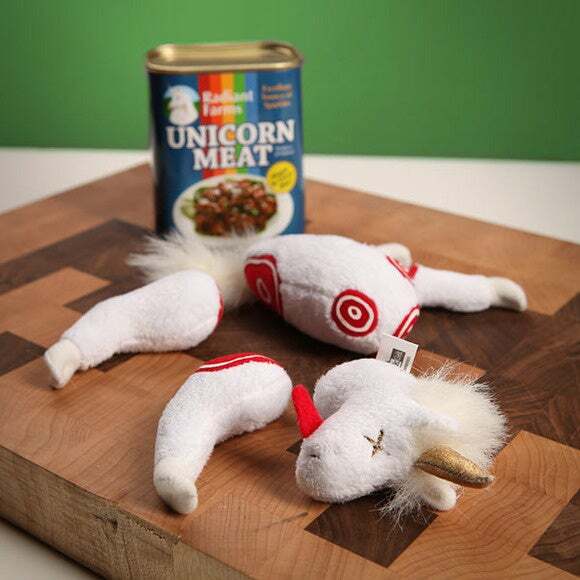 This can of Unicorn meat from ThinkGeek will spice up a meal better than Hamburger Helper. 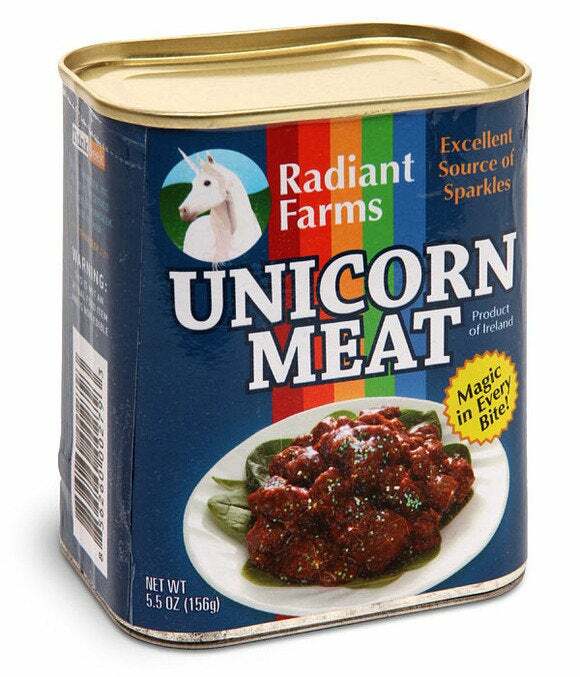 Inside every can you'll find a cleaned and processed unicorn that's fully cooked. Microwave for five minutes or saute with some fava beans for a nutrious meal. 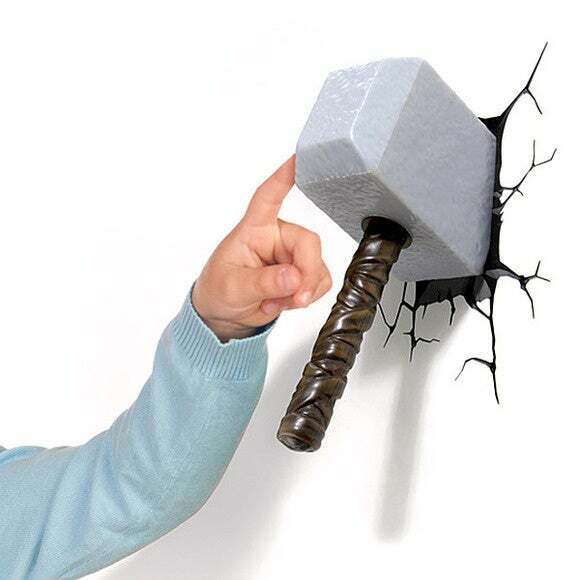 Attach this to your office wall and your co-workers will know only you can wield the mighty Mjolnir! Yes, this replica Thor's hammer attaches to any wall with simulated cracks so your facilities manager won't flip out on you. What's Darth Vader really hiding in his helmet? It's not just scars of that little tussle he had with his mentor Obi Wan before he "gave" his light saber away. 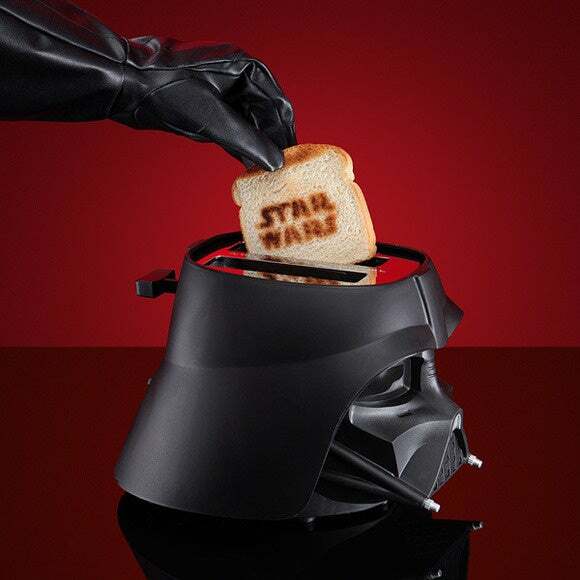 This dark side toaster features settings for reheat, defrost and quick stop. "What you burned my toast Captain Needa? Apology accepted." This machine wasn't ready to be seen at GDC, but it's a take on Steam Machines that only ThinkGeek would have. It combines Valve's upcoming Steam OS with a steam-punk-style Steam Machine. 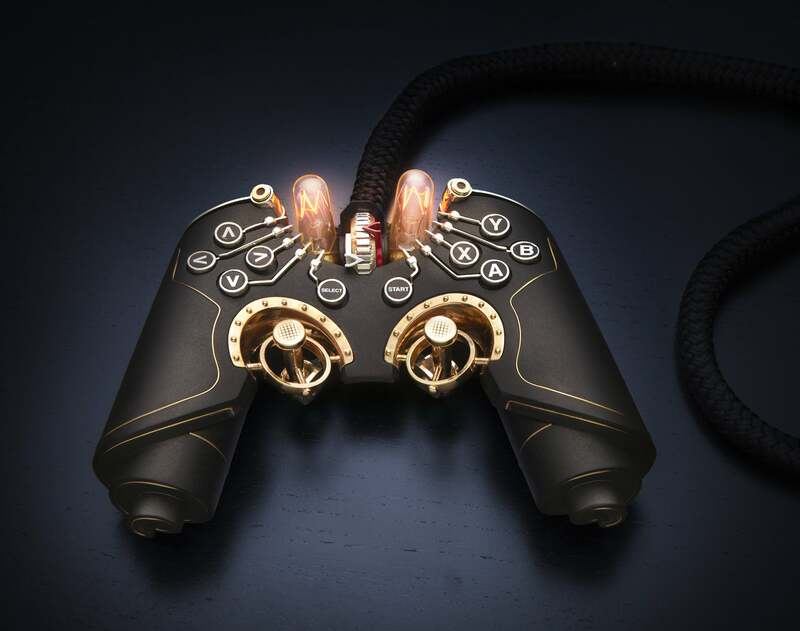 The ThinkGeek Edition Steam Machine will feature a steam-punk-style controller using analog sticks rather than Valve's own haptic touch-pad unit. 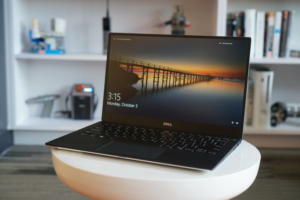 The good news: It follows the Xbox-style control layout, mostly. 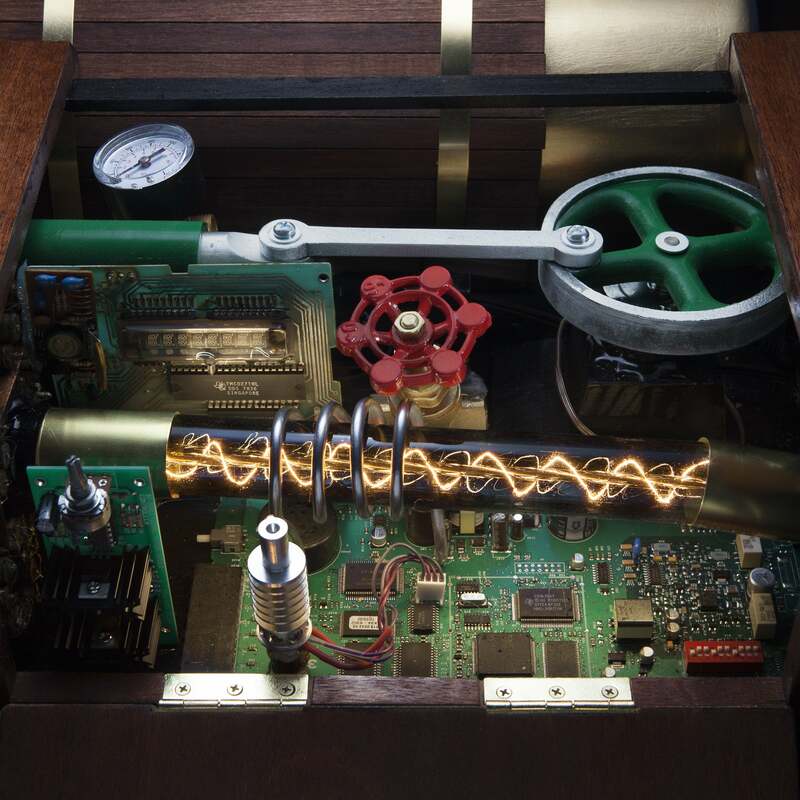 Inside the chassis you'll find steampunk-style electronics masking the Core i7 mobile quad-core and GeForce GTX 860M graphics parts. 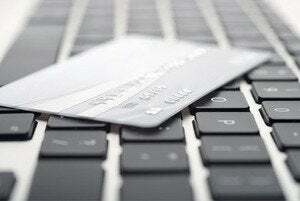 A single 256GB M.2 SATA SSD will handle storage. 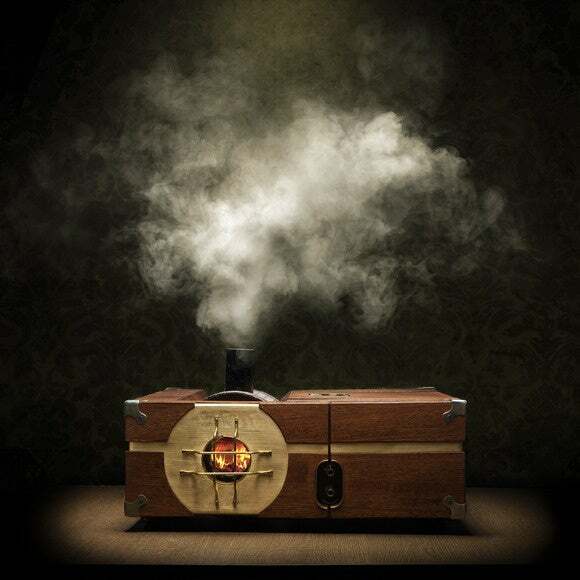 To add ambiance to the ThinkGeek Edition Steam Machine, a simulated fire and simulated electronic smoke can be produced on demand or set to trigger when the CPU or GPU approaches overheating. The vapor is similar to a Halloween smoke machine's and feeds from a small resevoir.